It's important to keep track of your staff when out in the field, losing valuable man hours is the main cause of jobs running over schedule. 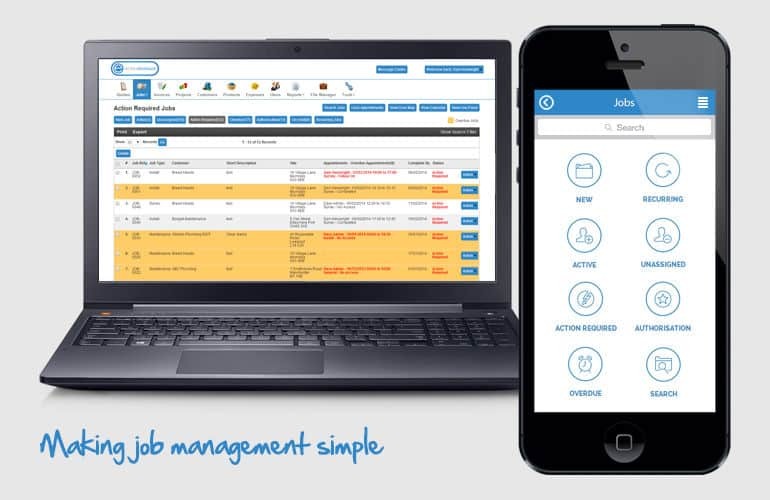 With Eworks Managers Field Service Management Software, you will be able to keep track of all aspects of every job, all from one place, by your workers using our mobile app! Our App is completely free to download and does not require an extra charge to use as it is included in your user package, all your users need to do is log in and they can manage all jobs that have been assigned to them or even join a job on the system to help another worker out! Having the ability to track all your work in the field is critical for any business, you will be able to see where all your jobs are up to live, track any delays and act immediately to rectify any issues that arise without delay as your workers can keep you constantly updated through the App. All your field workers will be able to complete electronic job sheets and if you need any additional documents creating, we can digitise them for you speeding up the process from job completion to invoicing for a job.